Can be operated by one person and can lift, lower and move loads up to 650 lbs. 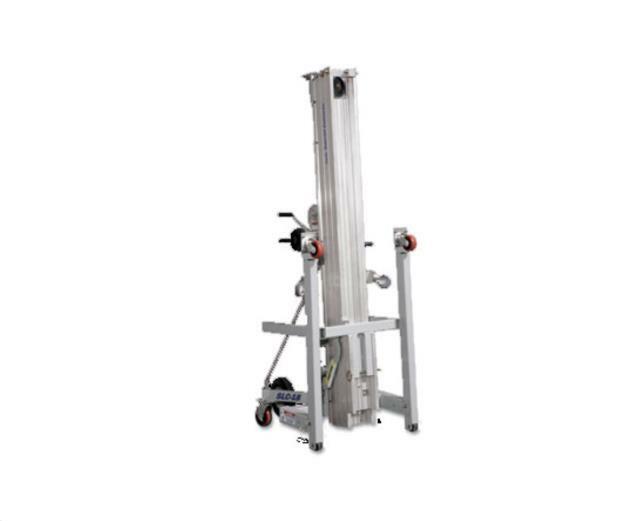 to heights of up to 24 ft.
Glide rails that allow one person to easily load or unload the unit, as well as lift it in or out of a pickup truck. Heavy-duty, patented telescoping mast system stows in a compact position. Ideal for construction firms and all types of contractors. Well suited for industrial applications and HVAC installations. * Please call us for any questions on our genie lift 24 foot 600lbs rentals in Whistler BC, serving Squamish, Pemberton and the Sea-to-Sky Corridor.